During the investigation into Montpelier’s architectural evolution that preceded the Restoration, the investigators uncovered several troves of treasures that had been slowly packed away into the walls over the course of 240 years. Within these collections the investigators found samples of clothing, letters, furniture upholstery, and even wallpaper. Who were the industrious archivists that created this assemblage of artifacts? The answer, surprisingly, is rats. 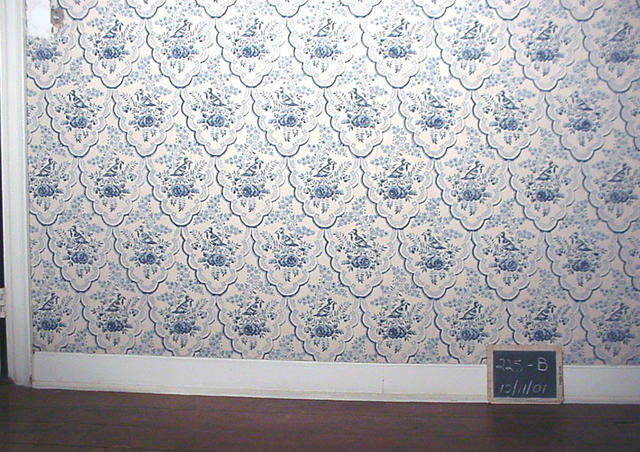 Wallpaper found on the eastern wall of the Large Dining Room before the restoration started.